Our students have been far and wide over the break. They have been immersing themselves in new environments and undertaking work placements to gain real-world experience before they graduate. 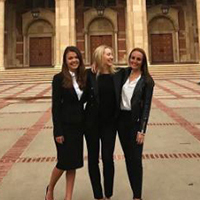 Current students who have been involved in placements over the summer share their experiences, and how they made the most out of their break. Why did you want to participate in Shanghai Business Immersion program? I wanted to participate in the IPP program for two reasons. First, I believe employers are increasingly looking for employees who can demonstrate cultural awareness and adaptability working in teams with people from different backgrounds. Second, I saw IPP as an excellent way to identify my professional interests and help decide what career I might like to pursue after completing my studies. Where did you undertake your placement? The African Chamber of Commerce in Shanghai city, China. What was the best part of your time there? The best part of my stay in Shanghai was getting to experience living in the city like a local. I loved shopping at the supermarkets, catching the metro and eating at local restaurants. What is your biggest takeaway from the experience? Open-mindedness. I learned how to better understand how people from different cultures think, and also learned the importance of trying to look at the world through other people’s eyes. Do you have any advice for someone considering the Shanghai Business Immersion program? Go for it! Even if you are placed in a role that lies outside of your area of expertise, approach the internship with an open mind. It can never hurt to expand your skill-set in new areas, and it will make you a more all-rounded person. I would love to backpack across Europe, spending a few weeks in each country. I love learning about new cultures and languages, and trying different traditional foods. Why did you want to participate in the Industry Placement Program? The program is a good start for my career, the business school offers a great platform for us to connect with organisations. 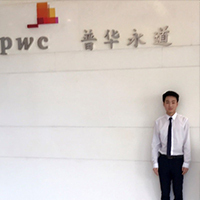 Through the program, I could have more opportunities to work in large organisations such as the Big Four, which was relatively harder if I applied for the internship by myself. Furthermore, I could earn valuable credits during my placement. I had built connections with one senior manager and one manger, and a reference letter was provided upon termination of the placement. I learnt how to perform service in a stringent business manner in China context (the advantage of working in large organisations), which had never been learnt in my previous internships and part-time jobs. Do you have any advice for someone considering the Industry Placement Program? Do the Industry Placement program, it is an amazing program that the Business School offers, so seize this opportunity. 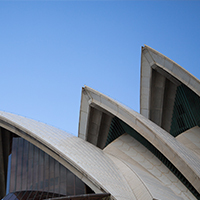 For Chinese students, the China program enables you to network with Chinese organisations. 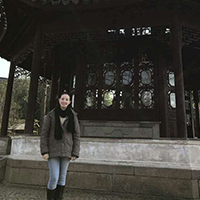 Further, you could reunite with you family during Spring Festival while earning credits on your placement, which is another big advantage of China Placement Program. Opportunities to work full-time are limited over the course of a degree – yet the competitive job market demands graduates who are experienced in their desired industry and expect them to understand how it works. The IPP was perfect for differentiating my application, while also allowing me to gain practical insight into the industry I hope to one day work – without the big responsibility that comes with landing a 2-year graduate role! It’s difficult in high school and university to gain an accurate representation of what the reality of full-time work in an industry is like. After this experience, I am so much more excited about getting into the workforce as there are endless possibilities for those who seek it. I’ve also been able to work amongst the best in the industry – and have gained mentors and inspirational figures that I hope to one day emulate in my own career. I now understand the value of throwing yourself at challenges or situations that absolutely frighten you. Throughout my placement, I was faced with what seemed like insurmountable tasks – but my perception often caused me to think I wasn’t capable – in reality, I surprised myself with just how capable I can be! Being nervous or feeling inferior is a completely natural feeling, embracing it rather than running away from it is the best thing we can do for our professional and personal growth. Don’t hesitate, just do it! The program was transformative for me, and if you’re willing to work hard, appreciate a foreign culture, and make friends with people from another country, then it will be the same for you! It’s an invaluable experience that will stay with you forever and is likely to shape the course of your career, as it has for me and many of my peers. This is the next level in your education – having the opportunity to apply concepts from the classroom to a workplace (moreover, a foreign workplace!) in the most insightful experience you can have during your tertiary education journey. If you’re hungry to learn, ready to be challenged and excited by the world – please, please, please apply! I fell in love with NYC when I was able to visit on a long weekend just recently – there’s something about how busy and competitive it is that has ignited my desire to work in that environment one day. I’ll be applying for jobs there for when I graduate next year! I wanted to develop my professional skillset, apply the theory I have learnt in lectures and genuinely test myself in a commercial environment. I was within the Sales department at Pfizer Consumer Healthcare locally in Sydney. Pfizer manufactures brands that most of us know including ChapStick, Centrum, Advil, Dimetapp, Robitussin and Caltrate. You may have even seen some of Pfizer’s advertisements currently running! I was able to work on realistic projects and genuinely make a difference within Pfizer. For example, I worked on the ROI analysis of a recent above the line marketing campaign for a new product and presented this to the executive leadership team. I wasn’t just an intern, rather they treated me like any other employee within the organisation. Meeting great people to work with, networking and building my professional and personal skillset was fantastic. No matter what industry you eventually work in, or what job you decide to take culture will always be one of the most important aspects of where you work. Traditionally, students seeking employment during internships or graduate programs always ask questions about the type of projects they will be undertaking, opportunities and benefits the organisation offers. These are very important, however to put this into perspective most of us will be spending at least 40+ hours a week at work, and to be working in a firm where your values and ways of working don’t click it can be extremely hard to perform at your best. Do I prefer a hands off or hands on (team bonding) approach to culture? Hierarchical rigidness – can you openly talk to directors and partners when you are a junior? Do they support your extra-curricular activities? Such as playing sport outside of work, or supporting your volunteer position. Even if you do your research and think that an organisation is perfect, you can get it wrong. However, take this as a learning experience and you will be able to more clearly understand what type of culture you prefer working in. As Nike or Shia LaBeouf declares – Just Do It! Putting in a day or two for the application and testing is definitely worth the effort. Not only do you gain credit for your university studies, but you also gain insight into industries you would like to work for in the future and genuinely develop your professional skillset. As I love to ski, anywhere with good snow and I’ll be there. However, if you had to make me choose I’d love to go to Sweden and see the northern lights.